I opened up a hobby box of Fleer Showcase not too long ago. That product had insert cards from Fleer Ultra. 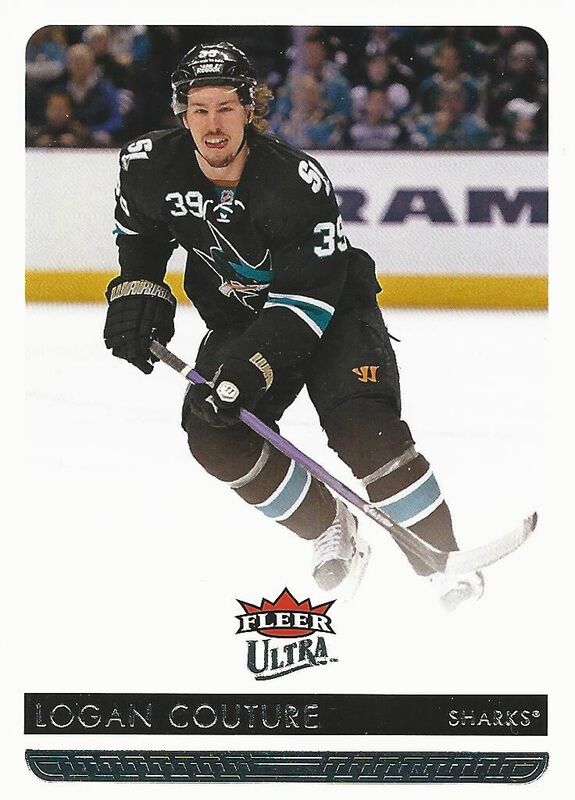 Ultra was a set hockey collectors were very familiar with in the 90's and 2000's. 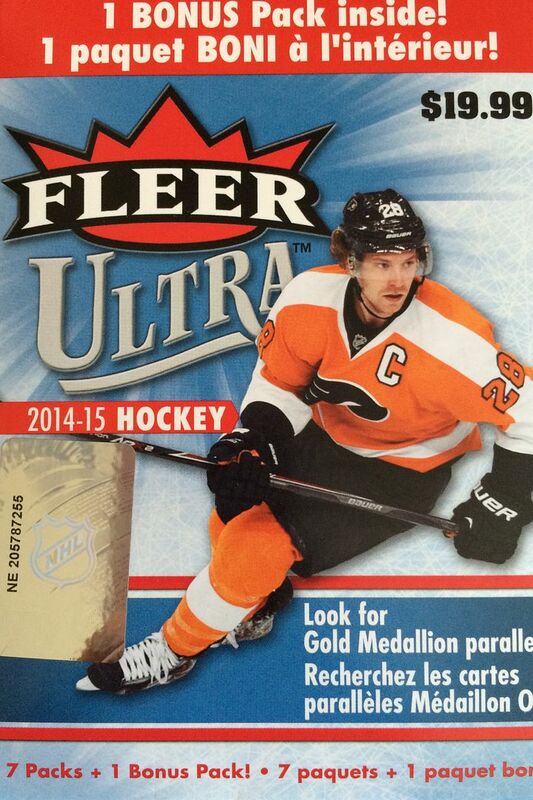 In 2014, Upper Deck released a version of Fleer Ultra in hopes to resurrect the brand. It didn't really work. The product was pretty lackluster with a weak design and hardly any hits. Why buy this now? That's a good question. I really wanted Upper Deck to do a great job with Ultra. 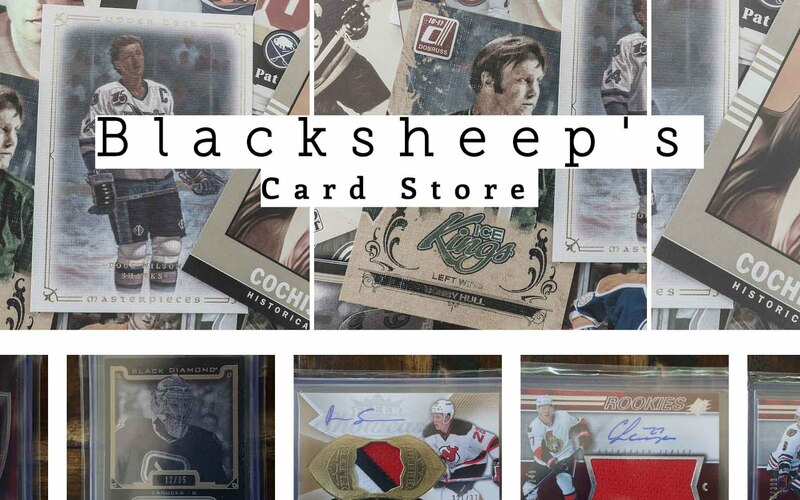 Having been such a long running brand, there was a lot of content for Upper Deck to use and employ. Sadly, they didn't do a good job of it and the release turned out to be a complete dud. Thankfully, this blaster didn't cost me too much. There are a few cool looking inserts that are possible to find here. I guess if you're really lucky there is a very small chance of getting a hit. There's so much Upper Deck could have done here. It's a shame that this is how it turned out. Wow, just wow. Good thing this blaster was under $5 because it was filled with nothing to really write home about. The only things of note here were the two gold medallion parallel cards. But I didn't include them in the top three because the players didn't speak to me. I really had to scrap to find anything I even liked here.Thankfully there a few SJ Sharks cards in the mix. But that just reminds me of the team getting bounced from the playoffs last night. So overall not a good experience this time! Is there really a top three? I got for Sharks cards in this blaster box. The fourth was Antti Niemi, who isn't on the team anymore so I went with Hertl in the third spot. I wonder if he's already peaked. It'd be awfully hard to repeat his amazing goal scoring ability from his early seasons. 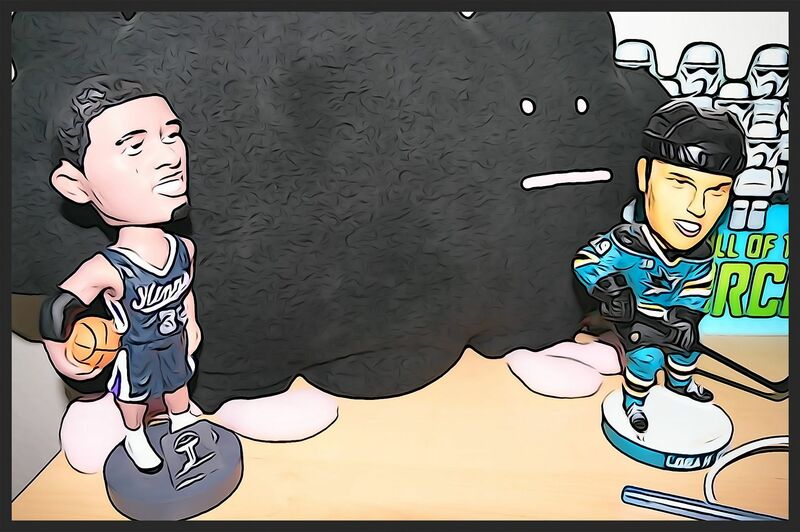 Vlasic has been solid for the Sharks for such a long time. It's too bad that defensemen aren't valued much in terms of the hobby. 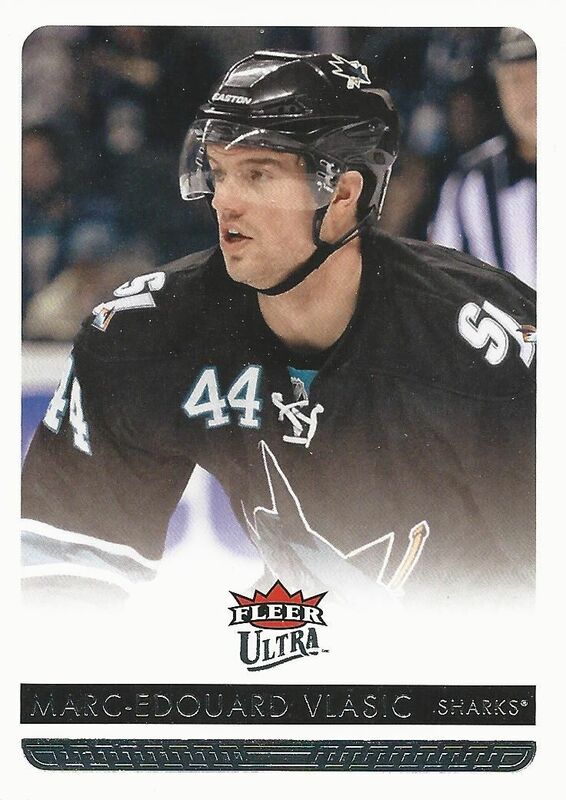 If they were, I'm sure Vlasic would have some increased value on the market. Of course I had to put Couture at the one spot. It was amazing that he even played in the playoff series against the Oilers with his horrific facial injury. It just shows how dedicated he is to the game. 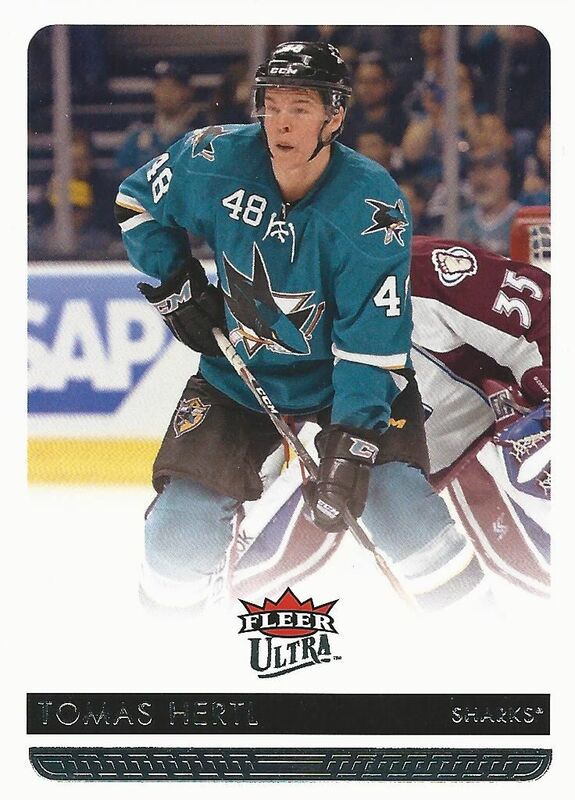 Though I did like getting a few Sharks cards int this blaster, this was a very terrible blaster. 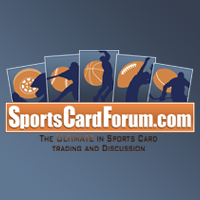 The gold parallels weren't good and there just wasn't anything exciting about this break at all. I wouldn't recommend 14/15 Ultra to anyone. The content is weak and the cards just aren't that great looking. You can pass on this and move along.